The Jack Russel terrier is an old breed. Its origin can be traced back to the 18th century. The dog was developed to be used for fox hunting. The Jack Russel terrier is very similar to and often confused with the Parson Russell terrier and the Russell terrier. All 3 dogs are basically the same dog with slightly different breed standards in different countries. Parson Russell terrier is recognized by the American Kennel club and used to be called the Jack Russel Terrier until the name was changed. The Russell terrier is slightly smaller and more stocky dog based on the breed standard from Fédération Cynologique Internationale in Belgium. All 3 of these breeds are now internationally recognized as different breeds. The breeds started to separate into separate breeds in the 1980s. The breeds are all named in honor of John “Jack” Russell. John “Jack” Russell was a reverend that lived 21 December 1795 – 28 April 1883. He was an avid fox hunter and dog breeder. It is his work hat created the first Jack Russel terriers by line breeding fox terriers. Jack Russel terriers look very different from other popular terriers such as the Scottish terrier and the West Highland White Terrier. The Jack Russel is a very energetic dog. They need to get a lot of mental and physical exercises to do well. An understimulated dog can quickly become nervous and spend its time thinking out different types of mischiefs. An understimulated Jack Russel will become a problem dog. It is imperative to make sure to provide them with long daily walks and a lot of stimulation. The Jack Russel requires a lot of exercises compared to many other dogs of a similar size. The Jack Russel is prone to anxiety if they are left alone for extended periods. They do not handle being alone very well. They are not a suitable dog if you spend a lot of time away from home each day. The breed is better suited for people who work from home, who have children that is home a lot or who is retired. The Jack Russel terrier is not a good beginner dog. They are more suitable for experienced dogs owner. Ideally, you should use your Jack Russel for hunting. They are primarily a working dog, not a pet dog. A working dog will be a lot healthier mentally. The Jack Russell Terrier is not a good choice for anyone who, like a doctor, have to spend long times away from home. They do not like being alone. If this describes you, then you are better of choosing a Dachshund or a Pomeranian. They are also not suitable for anyone who, like a pattern day trader, spend most of their day in front of the computer screen. If this describes you, I would recommend a slightly larger breed such as a German shorthair pointer or even something as large as a Great Dane. Dogs that enjoy spending large amounts of time resting at your feet and then go for a long walk or run. Something that does not need constant exercise. They are suitable for someone who, like a farmer, spending a lot of time working in or around the home. 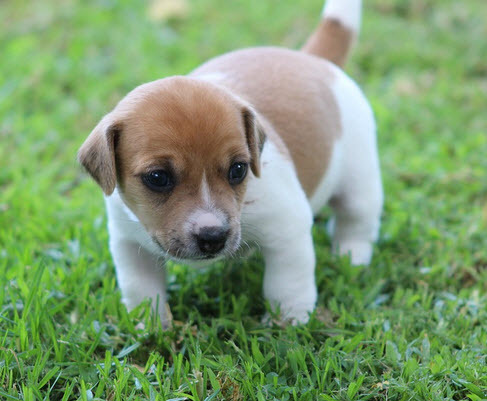 Jack Russel puppies are very cute but it is essential that you know what you are doing before you buy one. They are, as I mentioned, a working breed. Not a pet breed. They are not very civilized by nature, and it takes a lot of work to turn a puppy into a dog that is suitable for living in a modern home. They are not as they are purveyed on TV. To make them act like the Jack Russell terriers you see on TV takes a lot of work. Jack Russel terriers are sometimes sold at a very young age. Reputable, responsible breeders do not do this, but puppy mills can sell them as early as at four weeks of age. The puppies are not ready to leave their mother at this age, and you are likely to get a very anxious dog. You should always buy a puppy that has been allowed to stay with her mother for at least three months. Longer is better. Buying an older puppy is more expensive but worth the cost. Provide the puppy with a lot of love and a high protein diet. The Jack Russel is a smart dog that is relatively easy to train as long as you work with, not against, their instinct. Make sure that your dog get enough exercise while training. A dog with excess energy will have a hard time focusing on the things you are trying to teach it. This will make it hard to teach it anything. It is important to know that Jack Russels has a strong prey drive and it can be very hard to train them not to hunt or kill smaller animals. It is not impossible to do so, but many other breeds are easier to teach to interact well with other pets and animals. The dog has a strong lust to wander, and it can be hard to fight this instinct when training the dog. They can be small escape artists that successfully escapes even the most secure yard. They will usually come home after a walk but might get into trouble while out wandering. A lot of exercise will help fight this urge. The breed is relatively prone to nip and often barks a lot. Jack Russel terriers is a lot of work to breed. Puppies can be hard to place in new homes, and they are a handful to handle when they are young. It is common that people who have expressed interest in puppies back out of it when you have puppies to sell. A batch of 4-6 young Jack Russel Terrier will fight a lot and can be rather destructive. They will not be well behaved at that age. You will need to keep the puppies until they are at least three months old. Three months old puppies can get into a lot of trouble. It is not uncommon that you will have to wait until some puppies are five months old before you have placed all of them. Breeding these dogs can be very rewarding, but I recommend that you make sure that you are ready to do so before you decide to mate your female. 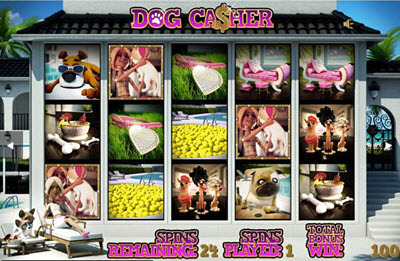 Dogca$her, a pun on the word dogcatcher, is a dog-themed slot machine developed by sheriff gaming, It is very fun to play and have cute animations that will melt the hearth of even the most stoic dog lover. It gives you the chance to win a massive progressive jackpot. The jackpot is worth more than $58 000 at the time I am writing this. You can find an excellent online casino where you can play Dogca$her by visiting casinobonuses.com. It is crucial that you get your Jack Russe terrier from a reputable breeder. A breeder who put the dogs’ health first and that wait until the puppies are at least three months old before they rehome them. I also recommend that you buy your dog from a breeder who keeps dogs with a good pedigree. Never buy a Jack Russel from a pet store or a puppy mill. A mentally healthy Jack Russel terrier is high strung and nervous. A dog that was taken from his mother too early and was subjected to cruel handling while young can be very hard to train into a good pet dog. The Jack Russel terrier is a rather inexpensive dog. You can find puppies for as little as USD350. The price will, however, vary a lot between different parts of the country and in most parts of the country you have to expect to pay USD700-1000 for a healthy puppy. This is not a small sum of money but still less than what you have to pay for many other dog breeds. The Jack Russel is sometimes sold at a very early age. I regularly see puppies for sale that are no older than four weeks. This is too early for the puppies to leave their mother. I recommend that you buy your puppies from a responsible breeder that allow the puppies to remain with their parents for at least three months.